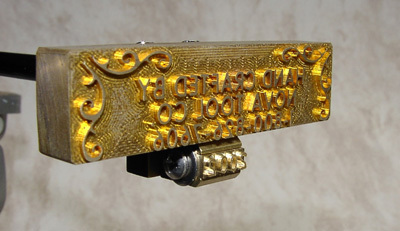 Shown above, attached to a torch heated branding iron, the date attachment holds 4 interchangeable characters that brand the year just below the main image. The characters are easily removed and changed by taking out a single screw. Comes with 14 characters to make the years from 2001 to 2043 and all mounting hardware. Easliy attached to existing branding irons using only a philips head screwdriver. 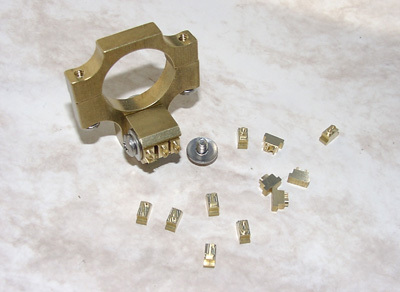 The dater head is held on with a simple clamp and can be attached by the user to his existing branding iron. Shown above on a torch heated iron, it can also be attached to the electric iron. Individual parts for dater. 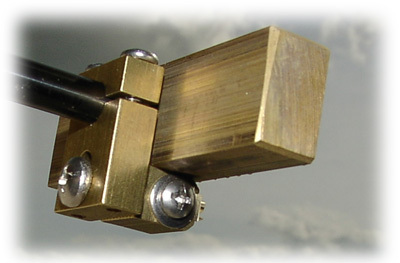 Shown with electric clamp.